Do you own a business or are you thinking about starting your own business? Are you married or engaged to be married? If the answers to both of these questions are “yes” then you may want to consider, or you may need, a Marital Property Agreement – more commonly referred to as a pre-nuptial (pre-nup) or post-nuptial (post-nup) agreement. Your spouse owns all of your property (with little exception) including your business. Wisconsin is a marital property state. In the simplest terms, this means that whatever your spouse and you owned separately before the marriage is now owned jointly by both of you, with very few exceptions. In other words, your spouse has an equal interest in that collection of baseball (or Pokemon) cards that you started when you were eight years old. And, yes, your spouse also has an equal interest in your share of the business you own. In a divorce, the court will start with the presumption that all marital property shall be divided equally between the two partners. The court will then look at certain factors to determine whether it should deviate from an equal division. However, unless you are more fortunate than most, your marital estate is likely top-heavy with one or two items of property making up a large percentage of the value of the marital estate (i.e., house, large retirement account, business interest, etc.). Thus, many times, in order to equalize the marital estate, those assets either need to be sold or one spouse has to pay the other spouse the balance in cash. This presumption of an equally divided marital estate enshrines a policy of respect and acknowledgment for each spouses’ contributions to the marriage. In many ways, the law treats spouses as equal partners in a joint venture, albeit a partnership with a very different foundation. Yet, like any other joint venture, a married couple enjoys the freedom to define the terms of their relationship through contract. Married couples may opt-out of these property requirements through a Marital Property Agreement. New couples sometimes view a Marital Property Agreement as a less than full commitment to the marriage. In reality, it should be viewed more as a smart option in case of emergency. If you have business partners, a Martial Property Agreement is essentially a must. In fact, many partnership/shareholder/operating agreements require a business owner to ensure that his or her spouse cannot state a claim for the marital property interest in the business during a divorce. The reason for this requirement is rather simple. Even if not required by the corporate governing documents, the consequences for failing to disclaim a spouse’s marital property interest in a business could be costly for the business. Or, worse, it could force the dissolution of the business. 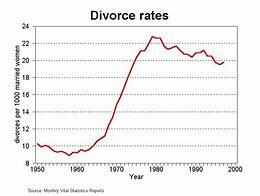 Depending on the complexity of the marital estate and the raw emotions of the divorcing couple, a divorce can last anywhere from six months to three years (average is somewhere in the 12-18 months range). Absent a Marital Property Agreement, in the event of a divorce, the non-owning spouse (at least as the business is concerned) could either attempt to force the sale of the owner-spouse’s interest or force the transfer of half the owner-spouse’s interest to the non-owner spouse. Neither option is particularly attractive for you or your business partners. Depending on the importance of the business owner and his or her interest, a pending divorce could grind the business to a halt if the divorcing business owner cannot assert his or her voting interest due to the uncertainty regarding the disposition of that interest. If the non-owning spouse received half of the owning-spouse’s interest then the business may have to rely on the cooperation of two individuals who are now divorced. No matter how amicable a divorce is, there is usually some resentment from one party (or both). Even if there is no real concern about the ownership of the business, it is usually advantageous for one party to a divorce to minimize the value of the marital estate. Thus, a divorcing business owner may have an incentive to at least hold off on the growth of the business during a pending divorce, or even to attempt to lower the value of the business during a divorce. What happens for those involved in a long-term relationship and own businesses together but are not married? While we at Kramer, Elkins & Watt, LLC hope you live happily ever after, the harsh reality is that more marriages end in divorce than not. If you own a business (as a sole proprietor or with partners) a divorce involving you or your married partners could have serious consequences for your business without a Marital Property Agreement. For more information contact Attorney Nicholas C. Watt at Kramer, Elkins & Watt, LLC.